Take Action Today! Nebraska sportsmen need to contact their state legislator and ask them to vote NO on LB 46. 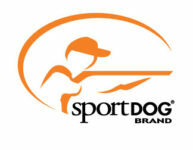 Members can find their state legislator by using the Sportsmen’s Alliance Legislative Action Center. Nebraska Sen. Ernie Chambers (NP-Omaha) has introduced Legislative Bill 46, which would prevent mountain lions from being hunted. It will receive a hearing in the Natural Resources Committee on Feb. 21 at 1:30 p.m. in room 1525 of the Capitol Building. LB 46 would override the commission’s authority to properly manage mountain lions and prevent any future hunting of this apex predator by removing mountain lions from the list of game species. Even though the mountain lion is considered a game species in Nebraska, the Nebraska Game and Parks Commission has been careful with its management plans and did not hold a hunting season for mountain lions during the 2015-17 seasons because of a high mortality rate unrelated to hunting.